As your business continues to grow and take on projects, staying organized becomes more important with every new opportunity. 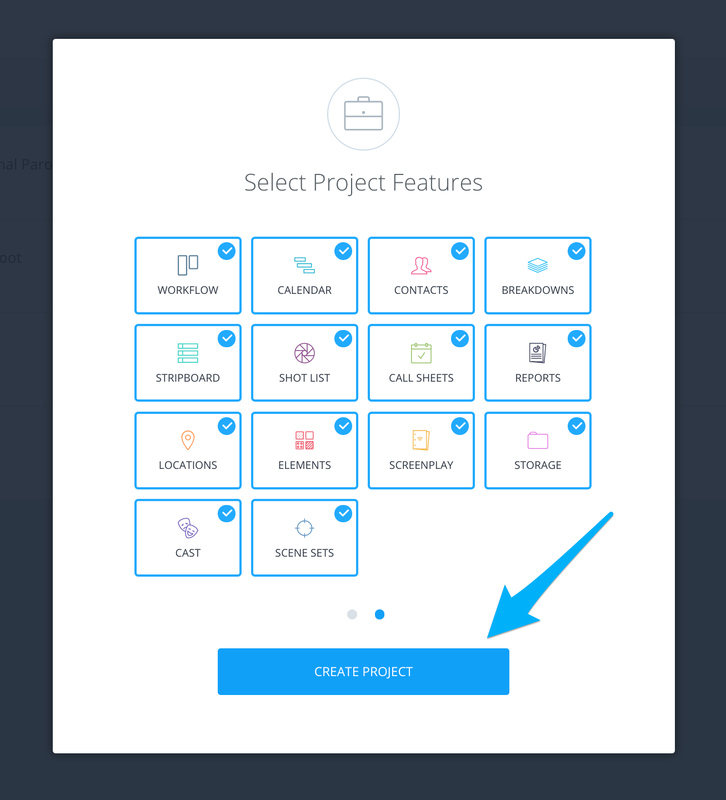 Here's how you can easily scale and organize all your projects in one place. On your Projects page, click New Project. Enter a Project name, then click Next. 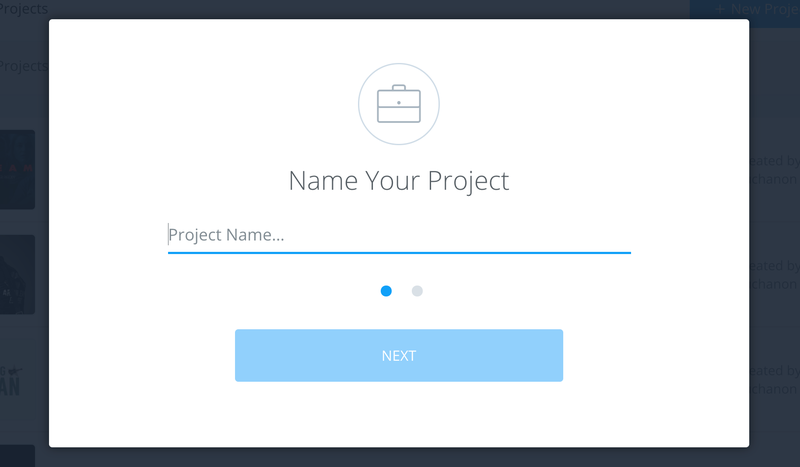 Now select the features that's needed for your project. Don't worry, you can always customize features at any point. Then click Create Project. You can also archive your projects at any point to only display your active projects. The Free plan offers up to 1 Project (includes Active and Inactive Projects). For more Projects, you must upgrade to a higher plan. Projects aren't rolled over the following month, it's just a set number of Projects/monthly. If you have one Archived Project while you're on the Free plan, you won't be able to add a new one. Can I move this Project to another account? Currently, this isn't possible on StudioBinder. After you have a few Project's created, you can maximize the space on your page by switching the layout. 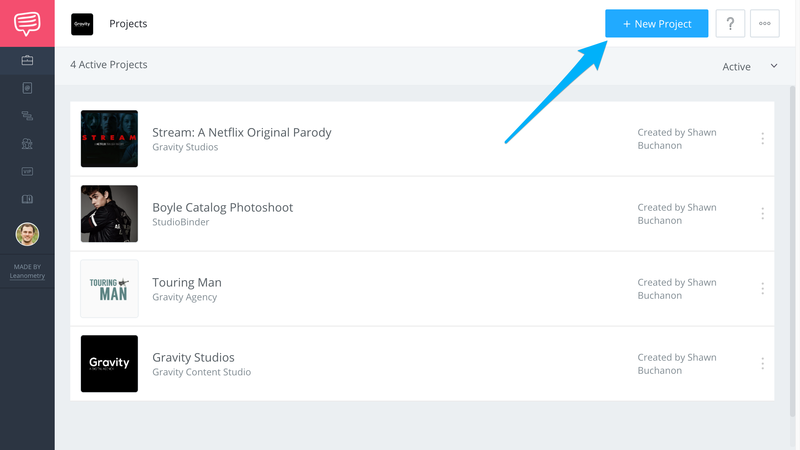 Just hover over the layout options and you can toggle between Grid View and List View. First, add teammates to get your project moving even faster. Next, import your screenplay to build your shooting schedule and start tagging your script. Don't have a screenplay? Then you can jump ahead to creating a call sheet or shot list.